The company issued a guidance statement on April 24, 2007 about edge-lettered Presidential Dollars submitted for authentication and grading. Edge lettering that reads upside-down when the President’s portrait faces up now is designated as Position A. Edge lettering that reads normally when the President’s portrait faces up is Position B. 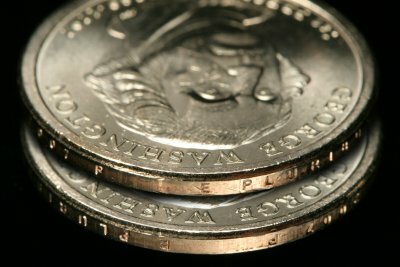 “The United States Mint applies edge lettering to the Presidential Dollars in a separate process after the coins are struck by the obverse and reverse dies. Although the orientation of the lettering is expected to be random, the relative rarity of Positions A and B has not been determined. However, neither position is expected to be rare because of the large numbers of Presidential Dollars that have been – and will be - produced,” said Ron Guth President of PCGS, a division of Collectors Universe, Inc. (NASDAQ: CLCT). In the guidance statement, Guth said the decision by PCGS to recognize the orientation of the edge lettering on Presidential Dollars is based on three important factors. Demand: The orientation of Presidential Dollars edge lettering is a legitimate variety resulting from the minting process. Collectors have already begun collecting both positions and will continue to do so throughout the duration of the Presidential Dollar program. Consumer Protection: Alerts have been issued warning collectors that the orientation of the edge lettering on Presidential Dollars is random and is not an error in the minting process. PCGS will recognize the two positions in the PCGS Population Report. This way, consumers easily will be able to see the distribution of grades and populations over the two positions. Precedent: The recognition of edge lettering variants is rooted in numismatics. In U.S. coins, examples include variants in the edge lettering on 1793 Wreath Cents, 1809 Half Dollars, and others. In world coins, examples include variants of many coins from Belgium (where Position A and Position B have been designated for years). PCGS now is placing Position A or B designations on all new Presidential Dollar submissions at no extra charge. Collectors who want the designations placed on Presidential Dollars previously certified by PCGS may resubmit their coins under the Designation Review Service for a fee of $10 per coin plus applicable shipping charges. PCGS guidance is based on the best information available at the time the guidance is developed. At the company’s discretion, PCGS may adjust guidance as new information becomes available. For additional information, contact Professional Coin Grading Service at (800) 477-8848 or online at www.PCGS.com.